An hour of queuing was worth the wait, for this beautiful view of the sun setting gently behind The Metropolis Building and central Madrid. 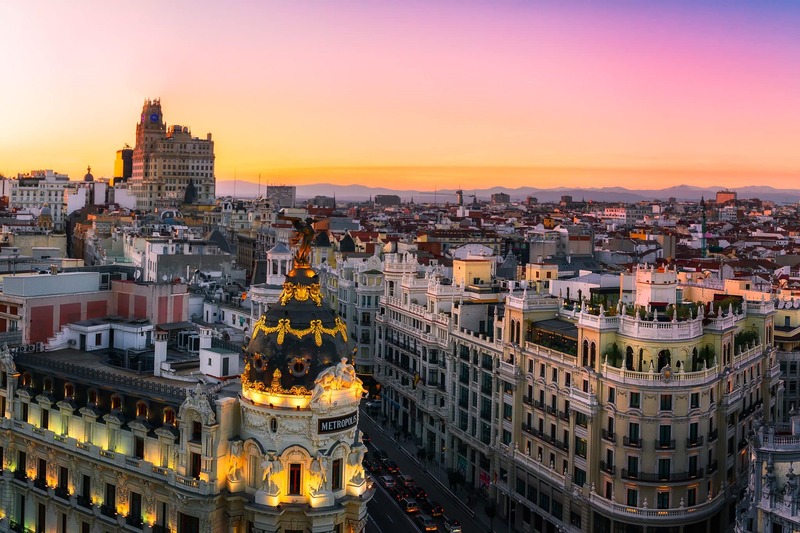 This photo of The Metropolis Building and The Gran Via was taken from the rooftop bar Azotea del Circulo. 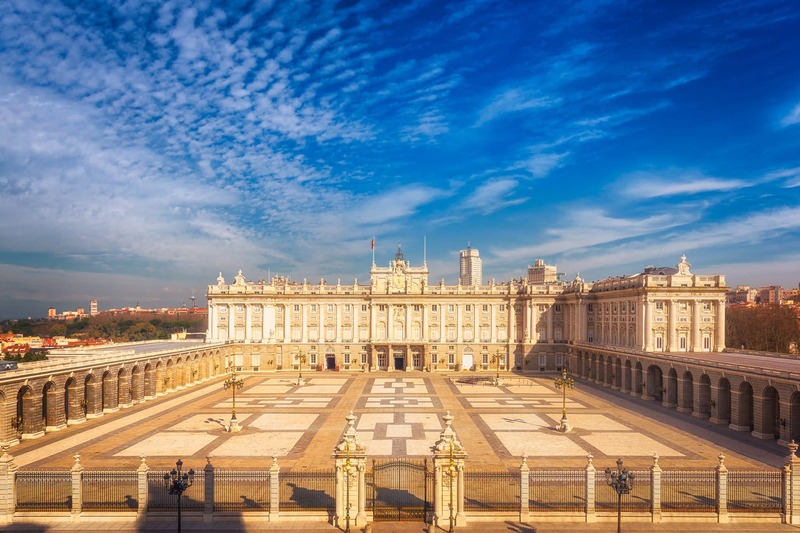 This building is, in fact, a theatre and for a minimal fee, you are permitted to take an elevator to access the rooftop bar, which has a breath-taking view of the central capital of Spain. I could not leave the Plaza de España without taking this photograph. 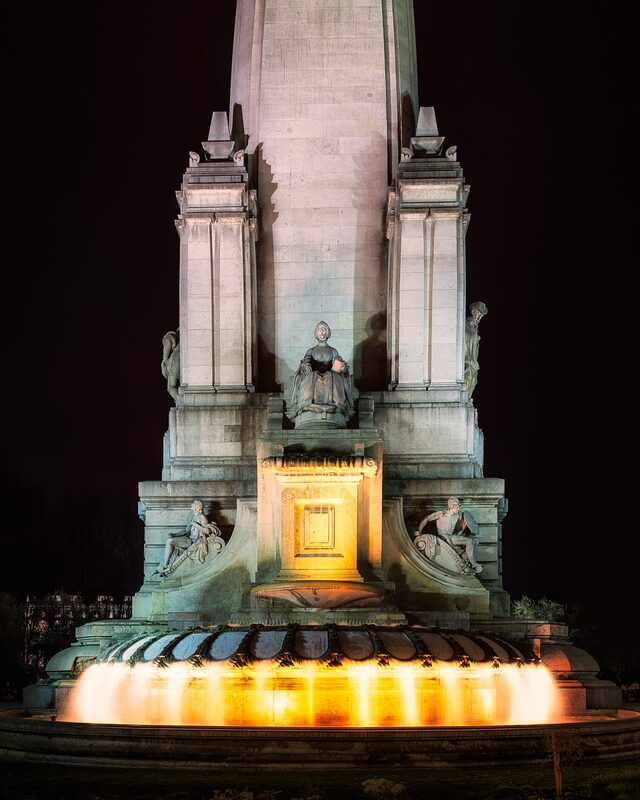 The fountain at the feet of the sculptures was enlightened in gold which strongly contrasted the late evening along with the black night sky in Madrid. This contrast of colours and significance behind the postures creates a unique impression of what impacted the worldwide literature of the art of Cervantes. While in this spot during the day, we discovered that you can capture Puerta de Alcalá in more detail from the small island in-between a pedestrian crossing. 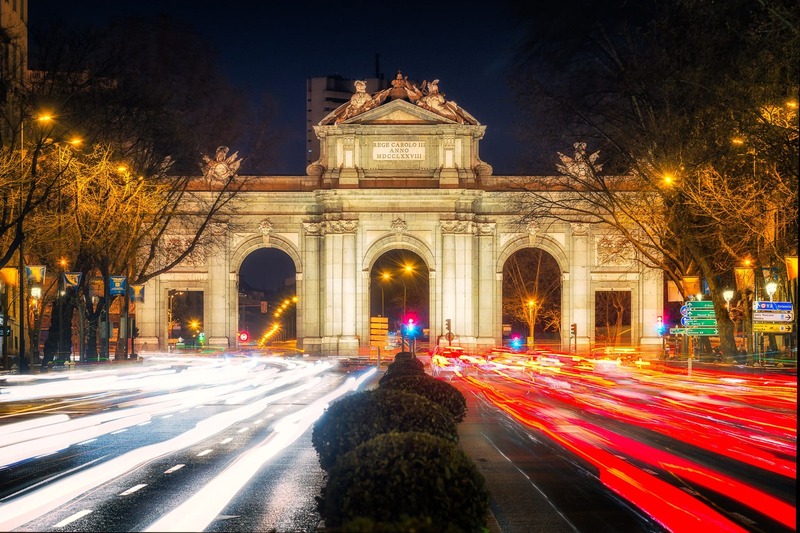 In the evening of that same day, I assembled my tripod in the best position, attempting to capture Madrid’s night life during the busy atmosphere. This definitive photograph took almost a half hour to capture. 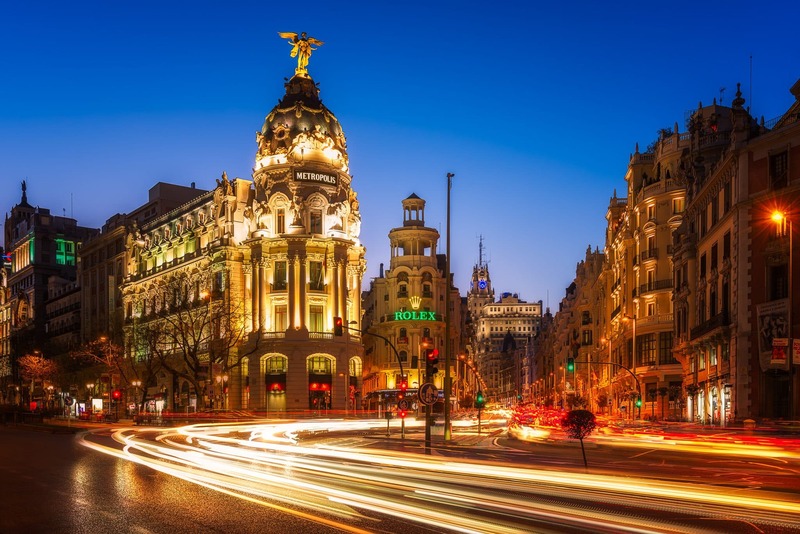 The Gran Via in Madrid can be likened to the Spanish Broadway. The Gran Via and The Metropolis Building is presumably the most photographed location in the capital of Spain. In my photograph, I tried to capture the pace and glamour-appearance of the street. The night lights only emphasised the unique character of the architecture of The Metropolis Building.